Employment Practices Liability Insurance: What is It and Do You Need It? 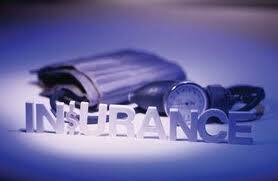 EPL insurance coverage can fill a glaring gap in your current coverage. As a business owner, you can take all the prudent and well intended precautions to protect yourself and your partners against lawsuits, but you may still frequently wonder: "Do we have insurance for that?" The following article addresses an insurance coverage hole that may be putting some sweeping contractors at risk. Lawsuits against employers are on the rise. Companies are finding that they are vulnerable, from the prehiring process through the exit interview – even if the prospective employee was never hired or was with the company for only a matter of days. It can happen to any employer – a joke told in the break room, an employee you had to layoff or fire, a "friendly" delivery person or someone you chose not to hire. Every firm can become the target of legal action from past, present and even prospective employees. Even if the claim is groundless or fraudulent, the defense of a suit can be costly financially, as well as through lost time and resources. Following are two sample claim scenarios tailored to the power sweeping industry. A contractor is sued by a recently terminated employee who alleges he was let go based on his age. The employee states that he complained several times to his manager that he felt as though he wasn't receiving fair treatment or compensation in comparison to his younger fellow employees. The employer claims the employee was terminated due to his lack of performance and poor attendance. The insurance company, in this case, would pay to defend the employer as well as would pay for any damages awarded to the employee, or settlement to the employee on the employer's behalf. In many cases, EPL coverage will also pay punitive damages, where allowable by law. This varies by state. A contractor has an inside salesperson calling on customers. He has regular contact with a female customer. She feels that he repeatedly flirts with her during their sales calls, even implying that he can give her a "break" in pricing because he likes her. At one point, he suggests they meet in person, to which she declines. She sues the salesman's employer for sexual harassment. Under the Third-Party Coverage extension, the insurance company would pay to defend the employer and pay any damages awarded or any settlement. This coverage extension is important because there was coverage provided in this scenario even though the claimant wasn't an employee . It is commonly thought that standard General Liability or Garage Liability policies would cover these types of claims. Unfortunately, that is nearly never the case. To insure against these exposures, a separeate policy must be purchased. Number of employees you have? Do you have an employee manual? (If so, does it include anti-discrimination wording, open-door policy wording, etc.? Are you expecting any downsizing or growth in the next 12 months? Remember, actions that qualify as "harassment" or "hostile" are often defined in the courts as whatever the claimant interprets the actions to be. If the employee feels as though he or she is being harassed, there is likely a case against you. This is a frustrating situation for many employers, because most truly care about this issue and diligently strive to keep such behavior out of the workplace. Unfortunately, that's not always enough. Becky Harding, CPCU, is Director of Association Programs for JD Fulwiler & Company Insurance. You may reach her by calling 877.924.5777.